What is Other Structures Insurance Coverage? 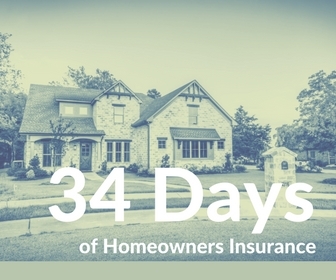 Day 010 | What is Other Structures Insurance Coverage? The garage that sits behind your home, is it insured? What about the new vinyl fence you just installed in your backyard? Where would you even look to find out? If you look at the Declarations page of your homeowners insurance policy, look for Other Structures. This is where you will see how much coverage you have for buildings and/or structures not attached to your home. Whether it’s a garage, a shed, a fence, or your gazebo. Generally, 10% of what you insure your home for will extend to Other Structures. So if you insure your home for $300,000; you will have $30,000 to protect structures not attached to your home. You can always increase this coverage if necessary. Catch an old episode here.